In the immortal words of Duke Ellington, "It don't mean a thing if it ain't got that swing—doo wah, doo wah, doo wah, doo wah, doo wah, doo wah!" This weekend, the annual Jubilee by the Sea—a three-day hot jazz music festival—returns to multiple South County venues with dozens of acts performing Friday, Oct. 26, through Sunday, Oct. 28. NEW ORLEANS STYLE JAZZ NYC jazz band Professor Cunningham and His Old School headlines the hot jazz music festival Jubilee by the Sea, Oct. 26 to 28, in various South County venues. Presented every year by the Basin Street Regulars, who also host monthly hot jazz concerts in the Pismo Vets Hall, Jubilee by the Sea is their premier event, drawing patrons and performers from far and wide. 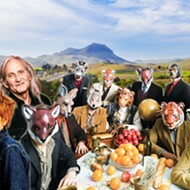 There are too many events to list, but visit pismojazz.com for all the details. A few of the performers include The Shake 'Em Up Jazz Band, Tom Rigney and Flambeau, Cornet Chop Suey, Tom Hook and the Terriers, and the Night Blooming Jazzmen. Special guest artists will include Carl Sonny Leyland, Bob Draga, and Washboard Steve. 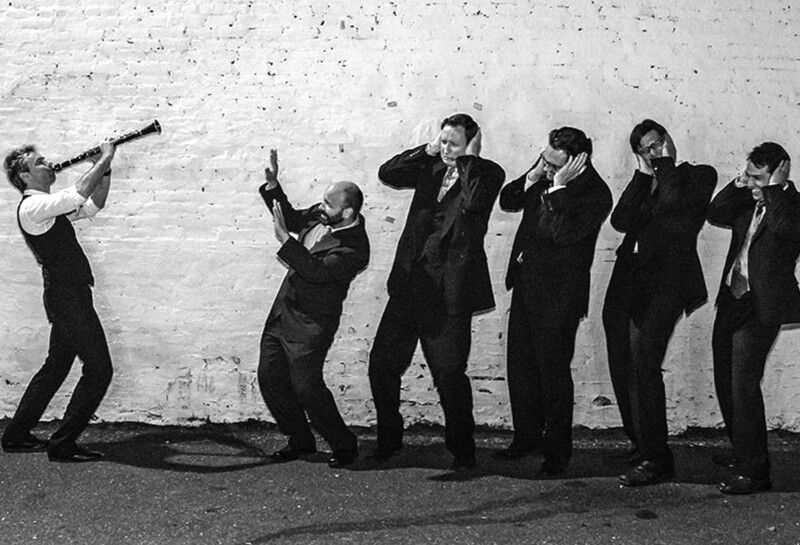 This year's headliner is New York jazz band Professor Cunningham and His Old School, a highly sought-after, award-winning act that plays jazz in the New Orleans tradition—early jazz and R&B in the style of Sidney Bechet, Fats Waller, Professor Longhair, and Fats Domino. Fronted by reed player Adrian Cunningham, an Australian native based in NYC, His Old School was formed in 2012 and has since won Best Band 2016 and 2017 at Madrid's World Jam, and Best Band 2017, Harlem, Vilnius Lithuania. Swing dancers in particular are going to love this act! Whether you want to dance, listen, or just hang out with a ton of music lovers, Jubilee by the Sea is the place to be this weekend! Visit their website and buy your tickets! TRIBAL FUSION ELECTRONICA Beats Antique returns to the Fremont Theater on Oct. 27 to deliver another evening of music, dance, and performance art. 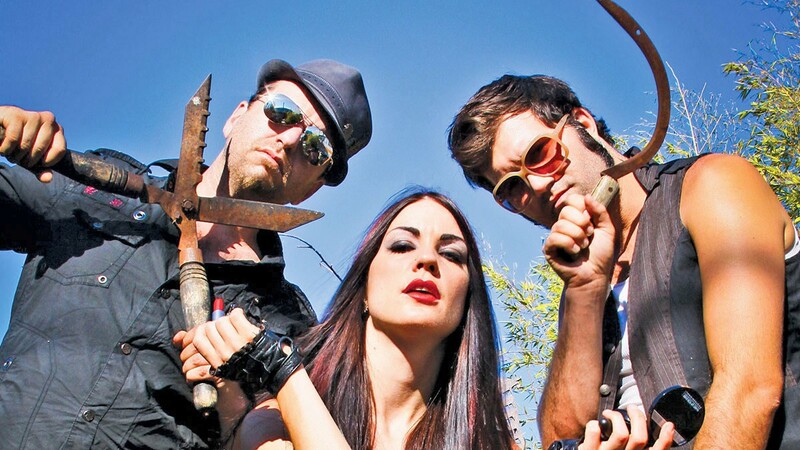 Beats Antique returns to the Fremont Theater on Saturday, Oct. 27 (9 p.m.; all ages; $30.83 at Boo Boo's or fremontslo.com), with Balkan Bump opening. If you've never experienced this experimental fusion act, strap in and prepare yourself for a truly unique sonic and visual feast. Mixing world beat sounds and electronic music with tribal dance and performance art, Beats Antique is a one-of-a-kind act. Also, don't forget about electronic act Cash Cash, which plays Thursday, Oct. 25, at the Fremont (9 p.m.; 16-and-older; $32 at fremontslo.com or Boo Boo's). The NYC-based trio has released four full-length albums and an array of EPs and singles of dance music. According to JP Makhlouf in press materials: "Our goal was to merge different styles from hip-hop, rock, and pop with electronic dance music. We hate buying an album if it all sounds like one song—the same synths, the same drums, the same moods. We get excited when we hear something untraditional. Musically, that's what we are after." The Denzel Curry & Kid Trucks show on Sunday, Oct. 28, has sold out. 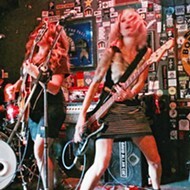 Check fremontslo.com for upcoming shows so you don't miss out. Punk rock icon, actor, spoken word poet, and humorist Henry Rollins presents his Travel Slideshow at the Fremont on Monday, Oct. 29 (8 p.m.; all ages; $36.69 general or $183.32 for VIP meet-and-greet at Boo Boo's or fremontslo.com). For years, the former Black Flag frontman has used his camera to document his travels from Baghdad to Timbuktu. Sit back and enjoy Rollins' exotic photos and the stories that go with them! 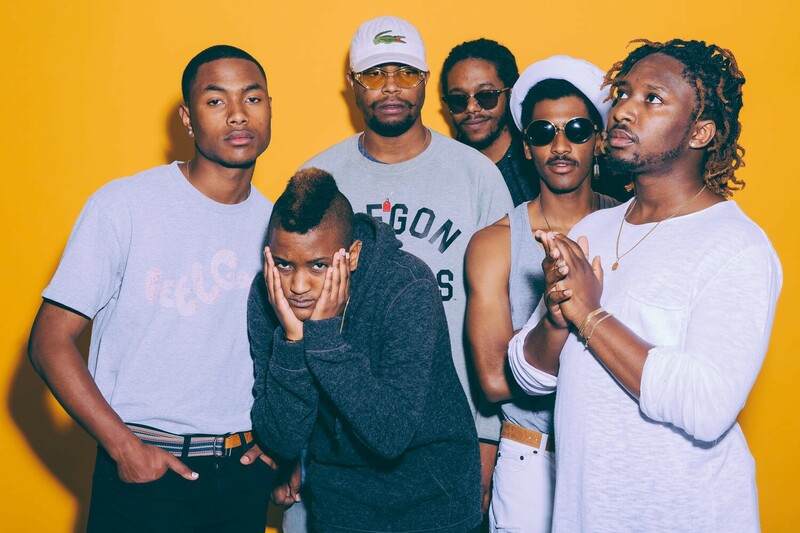 TAP INTO THE HIVE MIND Spend Halloween at the Fremont when soul, R&B, hip-hop, funk, electronic, and trip-hop act The Internet stops as part of its Hive Mind Tour on Oct. 31. Spend Halloween at the Fremont when soul, R&B, hip-hop, funk, electronic, and trip-hop act The Internet stops as part of its Hive Mind Tour on Wednesday, Oct. 31 (9 p.m.; 16-and-older; $39.04 general or $113.55 VIP meet-and-greet), with Moon Child opening. They're touring in support of Hive Mind, the follow-up to their breakthrough third album, Ego Death. And don't forget that electronic artist Yung Pinch plays the Fremont next Thursday, Nov. 1 (9 p.m.; 16-and-older; $27.31 at Boo Boo's or fremontslo.com). 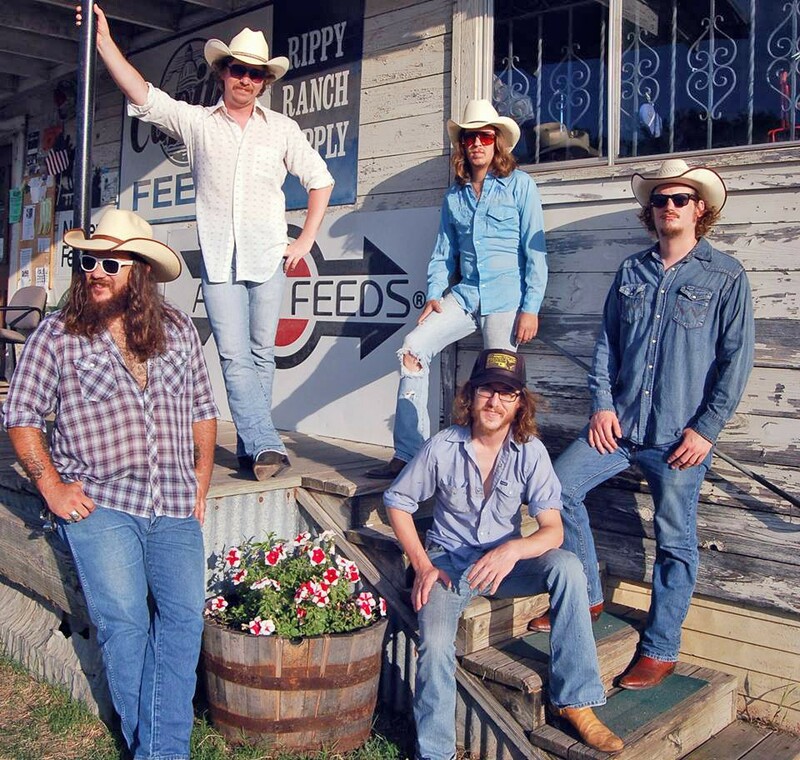 OLD SCHOOL COUNTRY Austin music heroes Mike & The Moonpies play The Siren on Sunday, Oct. 28, bringing traditional country swing. 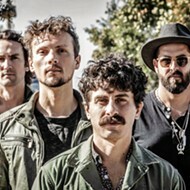 Austin music heroes Mike & The Moonpies play The Siren on Sunday, Oct. 28 (7 p.m.; 21-and-older; $12 presale at Boo Boo's or ticketfly.com or $15 at the door). 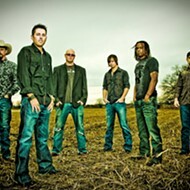 This old-school country is written by singer-songwriter Mike Harmeier, who said in press materials, "It's just different from the rest of today's country. All the songs are pretty traditional swing songs, and nobody's really doing that today: popularizing traditional country music. You've got people who are doing it in Austin, but we're taking it on the road and showing it off, and showing the people what that sound's all about. We play dance halls that haven't had traditional country since the '80s. We're bringing that back, and we're bringing it for three hours every night." Also, don't forget Americana roots artist Billy Strings plays The Siren on Thursday, Oct. 25 (7 p.m.; 21-and-older; $15 presale at Boo Boo's and ticketfly.com or $20 at the door). "Billy Strings plays hard and he lives hard, picking so fast and intensely that he's known to break multiple strings per song, and basing the songs he writes on the hard lives he grew up around in the abandoned rural communities of America," according to his bio. And definitely don't forget about The Devil Makes Three (TDM3) on Friday, Oct. 26, in the Madonna Inn Expo Center (6 p.m.; all ages; $25 presale at Boo Boo's and ticketfly.com or $30 at the door). Erika Wennerstrom (of the Heartless Bastards) opens. TDM3 is touring in support of Chains Are Broken, their first new album of original music since 2013's I'm a Stranger Here (2016's Redemption & Ruin was a collection of cover songs). It's not music, but since I like animals more than people (who doesn't, right? ), I thought I'd tell you about SLO Brew Rock's Halloween Pet Costume Contest on Saturday, Oct. 27 (noon registration with a 2 p.m. contest for Best Costume, Best Owner Pet Duo, and Ugliest Pet). YIN AND YANG Charlie Yin, better known by his stage name Giraffage, brings his electronic music to SLO Brew Rock on Oct. 28, as part of a KCPR-sponsored show. 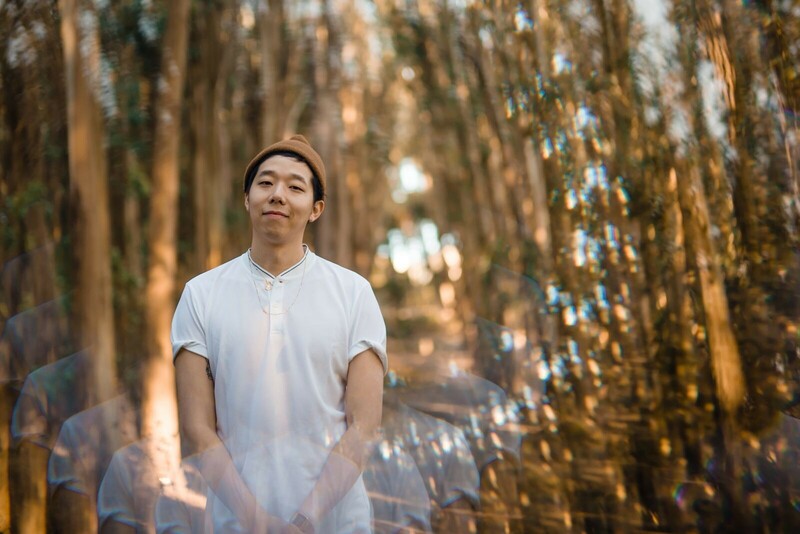 Also out at SLO Brew Rock, KCPR presents electronic acts Giraffage and Ryan Hemsworth on their Open World Tour, on Sunday, Oct. 28 (7 p.m.; 18-and-older; $20 at Boo Boo's and slobrew.com), featuring opening support from Nite Jewel (a DJ set) and Swardy. Club 91 presents British DJ CamelPhat at SLO Brew Rock on Tuesday, Oct. 30 (7 p.m.; 18-and-older; $20 at Boo Boo and slobrew.com or $25 the day of show). The singles "Paradigm," "Constellations," and "Make 'Em Dance" are a few of CamelPhat's hits. LAST SHOT Country singer-songwriter Kip Moore, riding high on his single "Last Shot," plays Oct. 30, at Vina Robles Amphitheatre. Vina Robles Amphitheatre ends its concert season with Kip Moore, making a stop during his After the Sunburn tour on Tuesday, Oct. 30 (7:30 p.m.; all ages; $35 to $55 at vinaroblesamphitheatre.com), with Jordan Davis and Jillian Jacqueline opening. Moore is a multi-platinum-selling singer-songwriter known for his emotive and energetic shows. "Anyone who knows me knows that the live show means everything to us," Moore said in press materials. "It's where we get to thank our die-hard fans that show up to every show year after year, and it's also where we get to lay all of our cards out on the table and win over new fans. I'm excited to get out to some cities we haven't played a full show at in a while and with all the awesome acts we have joining us, it's going to be a hell of a fall!" THE GREATEST SHOW ON EARTH! 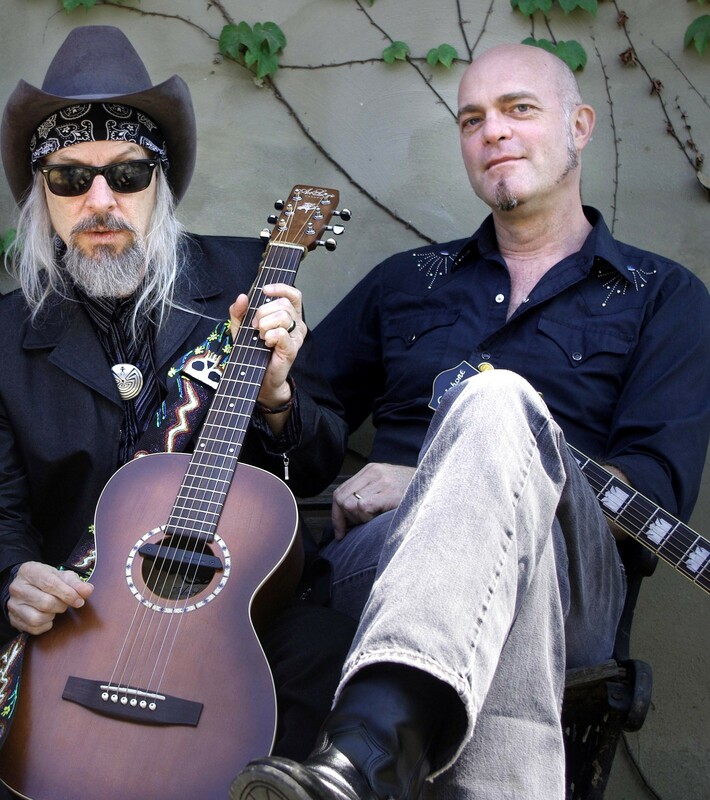 The Mighty King of Love Phil Lee (left) and famed East Nashville musician and Red Beet Records founder Eric Brace play Oct. 25, at 7Sisters Brewing Co. The Mighty King of Love Phil Lee and famed East Nashville musician and Red Beet Records founder Eric Brace (frontman of the roots rock act Last Train Home) are teaming up for a Songwriters at Play show this Thursday, Oct. 25 (6:30 p.m.; all ages; $10 at my805tix.com), at 7Sisters Brewing Co. 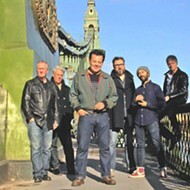 This will probably be the greatest concert in the history of concerts—Phil Lee is a whip-smart riot who writes unforgettable songs, and Brace is an amazing musician who puts up with Phil Lee. Folk-metal artist Amigo the Devil plays Sweet Springs Saloon this Saturday, Oct. 27 (8 p.m.; 21-and-older; $13 at ticketweb.com), with Harley Poe opening. "If you've ever heard a room full of people yelling, 'I hope your husband dies,' in a harmoniously sloppy, drunken unison, you've probably stumbled into an Amigo the Devil show," according to press materials. "Danny Kiranos, better known to the masses as his musical counterpart Amigo the Devil, has been challenging the expectations of traditional folk, country music purists, and rock/extreme metal fans alike with his morbid, yet oddly romantic, take on folk that has amassed a dedicated and cult-like fan base." Traffic Records, Atascadero's coolest record store, in conjunction with local public radio station KCBX, hosts world-class organ-driven jazz, funk, and soul outfit The White Blinds at The Siren next Thursday, Nov. 1 (7:30 p.m.; 21-and-older; $10 presale at Boo Boo's and eventbrite.com). This is an amazing instrumental act that pays homage to the classic soul jazz sounds of the '60s and '70s. Traffic Records proprietor Manuel Barba will be spinning a set of classic funky soul jazz ahead of the show, so get there early!